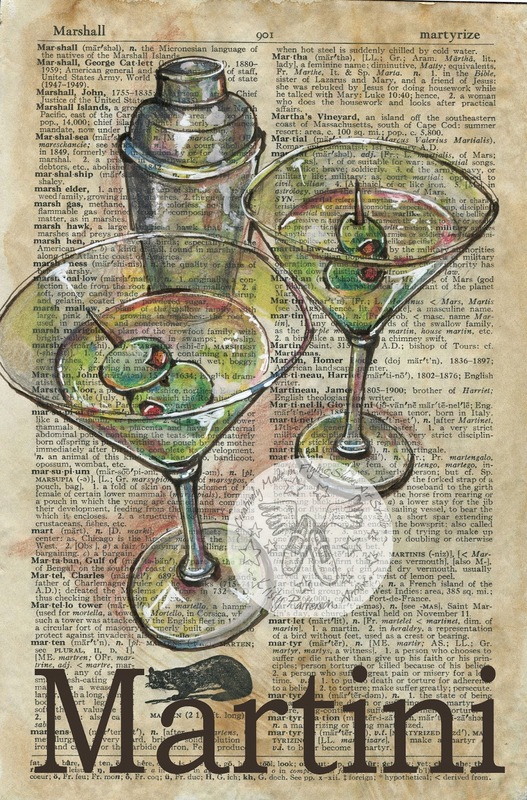 I've been thinking about a bar series of dictionary drawings for some time. I've had people ask if I have anything like these so today was the day to start. 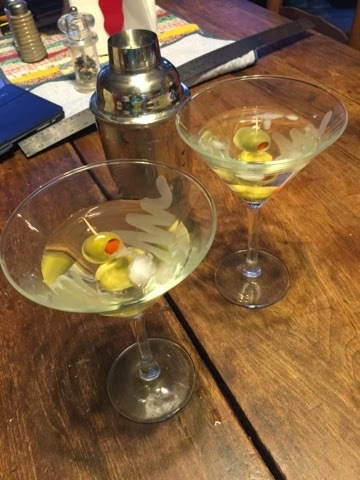 On our 20th wedding anniversary we tried our first vodka martini. It paired perfectly with the thick, juicy steak we enjoyed that special night. 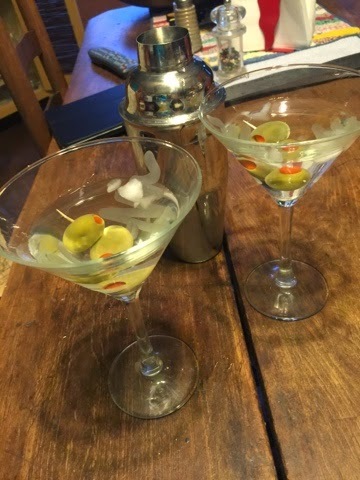 A vodka martini has become our celebration drink ever since. 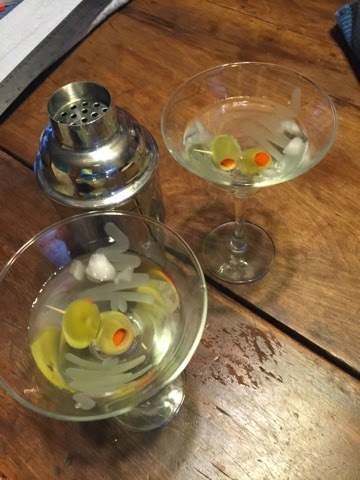 There is something so sophisticated about drinking something out of one of these ridiculously hard to manage, long stemmed glasses all the while juggling your toothpick of olives. I have to say, I am particularly fond of any drink that includes something to eat. Here are some of the photos I took to build this drawing. 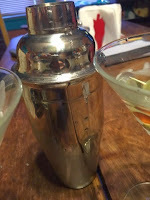 I set up some glasses and a shaker on my dining room table and took photos from all sorts of angles. I really like unusual views and not boring side views of subjects. I loved the look of the olives in this glass but decided it might not "read" as well as others.